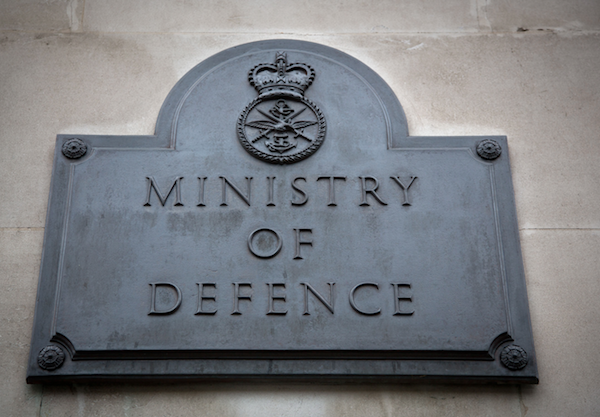 The Department (Ministry of Defence) has undergone a thorough overhaul since the 2010 Strategic Defence and Security Review (SDSR). The SDSR process is repeated every five years, or in every parliament. The Defence Reform process initiated by Lord Levene sought to re-arrange the way that the MOD is run, from the Main Building to the Service Chiefs who are Front Line Commanders (FLCs). Under the arrangements put in place under the Levene reforms FLCs are now the budget holders for their services. Force levels in Afghanistan have been reduced to a few personnel at the military officers training academy. A training mission has recently been sent to Iraq, to assist in the campaign against ISIL. The Equipment Programme (EP) has been brought into balance. This means that the MOD has an order list for equipment for which it has a budget. The challenge during this parliament will be to ensure that the EP is delivered. The mounting cost of the F 35B programme continues to cause concern. The 2015 SDSR is expected to be concluded in October, and will be influenced by the outcome of the 2015 Comprehensive Spending Review (CSR). Departmental spending will continue to be constrained for the remainder of 2015/16. The Department will wish to ensure that its resources are not depleted further. The successful delivery of Force 2020 (see p.3) will ensure that Britain retains a credible level of capability. Britain’s place in the modern world will be judged, in part, by its ability to use its military to ensure its own security, and to assist its allies. The British public are conflicted about defence. Public support for the armed forces during the Iraq and Afghan campaigns was high, even if support for the missions was equivocal. Parliament voted against any military action against Syria in 2013, reflecting a widely held fatigue about ‘foreign’ wars. Opinion poll research during the 2015 election campaign by ComRes for Forces TV put ‘Defence and combatting terrorism’ at 9th place in the list of voters’ priorities. In first place was ‘Healthcare and the NHS’; in second place was ‘Immigration’, in third place was ‘The national economy’. The same polling found that by a margin of two to one British voters say it is important a main political party commits to spending 2% of GDP on defence (60%). 72% of those polled felt that it was important a main political party commits to protecting the size of Britain’s Armed Forces from further cuts. In Scotland the SNP made much of their wish to get Trident out of Scotland. The ComRes polling also found that 2 in 5 Scots thought that renewing Trident is ‘very unimportant’ (41%); a clear difference with the rest of the UK. Overall 54% of those polled UK-wide said that it is important to renew Trident. The US: The UK relies on its relationship with the US for its ‘Five Eyes’ intelligence sharing capability; also for the arrangements made in respect of the National Deterrent. In the period before the election there were articles published in the press relating to concerns in the US about Britain’s ‘usefulness’ as an ally. The Financial Times of 2nd May reported concerns among Washington policy makers and commentators. Their concerns focussed on the apparent insularity of the UK in the period following the vote in the House of Commons which opposed action in Syria in August 2013. A paper prepared by the Congressional Research Service (CRS) equivalent to the House of Commons Library in April, posed similar questions. NATO: The UK is the second largest member of the NATO Alliance in terms of defence expenditure, and the largest contributor among the Alliance’s European members. NATO Member States are pledged to a collective defence arrangement by the Washington Treaty of 1949, particularly under Article 5 which commits members to ‘consult’ in the event of external aggression. This is commonly held to be ‘the’ NATO guarantee of security. The Wales Summit in September 2014 enabled the UK to reassert its position as a useful member of the Alliance, but concern has been expressed in the US that the UK may not be able to sustain its 2% of GDP spending commitment, even though the UK government was a prime mover behind the commitment to get Alliance members to achieve this level of expenditure. Five Power Defence Agreement: The FPDA was signed in 1971 between the UK, Australia, Malaysia, New Zealand and Singapore. It is an agreement to consult in the event of tension or aggression. It is not a commitment to intervene. Franco – British Defence Co-operation: A Defence and Security Co-operation Treaty was signed with France in 2010. The main subject areas cover nuclear technology co-operation; industry and armaments co-operation. A Combined Joint Expeditionary Force will involve forces from both countries. A series of exercises have been held and liaison officers exchanged. This arrangement helps to anchor France in the military structure of NATO and enables both Britain and France to advocate enhanced defence capability among other E U Member States. Other defence agreements: In December 2014 Britain began establishing a military base in the Gulf, the first military presence by the UK since 1971. This will be based on a naval base at Mina Salman in Bahrain. The Bahraini government will pay the £ 15 M building cost, and the UK will fund the running costs. As well as the Falkland military garrison, Britain has a Gurkha Battalion based in Brunei; training facilities in Belize and Kenya. The UK maintains a Sovereign Base in Cyprus. Taking 2010 as a baseline when the defence budget was £32.9 bn the MOD’s budget has been cut by 7.5% during the last parliament, from 2.7% of GDP to 2.2 % GDP by 2013 / 14. The Totemic 2 % figure was mentioned at the NATO Summit in Wales in September. NATO Allies are encouraged to keep defence spending above this minimum figure. Currently only 2 European countries (the UK and Greece) achieve this. The political Rubicon will be if the UK drops below this figure. A study by RUSI  has predicted that MOD expenditure will drop to 1.88% of GDP in 2015/16. It also predicts that a CSR in 2015 will see a cut of between 4% – 10% in the MOD’s budget in real terms over 5 years. This would leave the defence budget at somewhere between 1.5% – 1.6% of GDP by 2020 / 21. Depending on how the Comprehensive Spending Review (CSR) is settled in October, the continuation of austerity budgeting could see overall Government spending reduce further. In the last parliament total government spending was reduced from 47.0 % of GDP in 2009/10 to 41.6% in 2015/16. In the last parliament the Prime Minister stated that he could not guarantee to protect the MOD’s budget. The UK continues to meet the 2% NATO target through to 2020 – this would require an increase in expenditure as the economy continues to improve. This would require an additional £25bn from 2016/17 – 2020/21. The current MOD plans for real increases are confirmed – this means an annual uplift in the defence budget of 0.4%. On these assumptions, continuation of existing MOD plans means defence spending falling to an estimated 71% of GDP by 2020/21. This assumes an annual average GDP growth of 2% which is the operating assumption for the UK economy of the Office of Budget Responsibility (OBR). The defence budget remains constant in cash terms for two more years (until 2017/18) equivalent to a real terms cut of 2% in the defence budget every year. In subsequent years (from 2018/19) expenditure increases in line with general inflation. This scenario results in a decline of defence expenditure to 62% of GDP by 2020/21. If the defence budget were continually cut for 5 years – a flat cash settlement from 2016/17 – 2020/21 would result in defence expenditure reducing to 53% of GDP by 2020/21. There are always efficiencies that can be generated within government departments when they are challenged by the Treasury. The MOD was put into ‘Special Measures’ by the coalition in 2010; a Defence Reform process was undertaken by Lord Levene. This process is still working through; there may be more efficiency achievable in the ‘tooth to tail’ ratio. The procurement practices of Defence Equipment & Support (DE&S) at Abbey Wood might yield more efficiency in the way equipment, supplies and services are procured. An enduring stabilisation operation at about brigade level (6,500 personnel) with maritime and air support as required. One non-enduring simple intervention (up to 1,000 personnel. Alternatively UK forces could undertake 3 non-enduring operations, if not otherwise committed. For a limited time, with adequate warning, UK forces could commit to an intervention of up to three brigades with maritime and air support. This could involve up to 30,000 personnel, two thirds of the force deployed to Iraq in 2003. Achieving the Force 2020 structure is proving to be a challenge as things stand. The RN ‘took risk’ with four fewer escorts (frigates) than it needed in the 2010 SDSR; the submarine fleet is working at full stretch. The RAF, the smallest of the services is operating at full stretch keeping both the transport and fast jet fleets busy. The Three Tornado GR4 squadrons have been operating over Afghanistan and Iraq. One squadron due to disband in April has been extended to continue to provide aircraft to meet the Iraq requirement. The aircraft are due out of service by 2019; the associated fatigue element of additional hours flown is under consideration by senior RAF officers. Of the five Typhoon squadrons in service (the fifth stood up in April), it takes two squadrons to maintain the Quick Reaction Alert (QRA) force for the UK and the Falklands. The Lightning ll F35 B is not due in squadron service until 2018. The UK lacks a dedicated Maritime Patrol Aircraft (MPA) capability; this role is being fulfilled by the use of allied aircraft and RAF Hercules aircraft. The Reaction Force: a high readiness force able to undertake short notice contingency tasks. This force will be predominantly composed of regular forces with a smaller contingent of Reserves. The elements of the Reaction Force will comprise five brigades; three of which will be Armoured Infantry Brigades, together with a Logistics brigade which will come under command of Headquarters 3 Division. 16 Air Assault Brigade will remain under command of Joint Helicopter Command. 1 x Light Cavalry Regiment: 48 light tanks – eventually to be replaced by the Scout. 2 x Light Protected Mobility Infantry Regiments – equipped with Foxhound. 3 x Light Role Infantry Regiments – about 600 personnel (and their paired Reserve elements). Force Troops: specialist troops which will support both the Reaction and the Adaptable Forces. For example; Commander 3 Division does not have any artillery under command, unless the division deploys on operations. The Army will continue its re-basing from Germany to the UK; this exercise should be completed by the end of 2019. Some 70% of the army previously based in Germany should be back in the UK by the end of 2015. The Main Gate decision on the Trident Successor Programme must be made in 2016. The 2010 SDSR concluded that the UK strategic nuclear deterrent would be retained as part of Force 2020. As a result of the Government’s value for money review, the SDSR announced that a smaller number of warheads would be necessary in the longer term. The number of operational launch tubes on the current Vanguard class SSBN will be reduced from 12 to 8; the number of warheads deployed reduces from 48 to 40. The UK builds the warheads which are put onto missiles which are drawn from a common pool shared with the US Navy. Continuous At Sea Deterrence (CASD) remains the Department’s preferred option. A fleet of 4 SSBNs retains the flexibility to respond to defects within the fleet. The cost savings of reducing the SSBN fleet from 4 to 3 are minimal (consisting mainly of reduced crew numbers) and introduces a high degree of risk in the event of increased tension. The in-service cost of the Deterrent amounts to some 5-6% of the MOD’s budget. The Department estimates that the cost of the successor programme will be in the range of £15 – £20 bn. This includes £11 – 14 bn for the new submarine (at 2006/07 prices). Adjusting these figures to 2013/14 prices puts the overall cost at £17.5 bn – £23.4 bn. This will be funded from the Department’s core Equipment Programme (EP) budget. The consequences of the 2010 SDSR have been evident in the redundancy programme which the services and the MOD have undergone. The 2010 SDSR called for some 33,000 redundancies from the 3 services. 5,500 from the RN; 19,500 from the Army and 8,000 from the RAF. In addition 32,000 MOD civilian staff have been made redundant. To achieve the recruitment that the services still require, they need to reach out to as wide a talent pool as they can. There is no doubting the quality of people who are serving at present. An RAF crew flying a US P 8 MPA won the US fleet challenge ASW competition in April 2014. The real challenge is retention. The Royal Navy has a shortage of engineers, so it has undertaken an exchange programme with the US Coast Guard to provide qualified crew. To achieve a steady state the army will need 8,500 new officers and soldiers to successfully complete training annually by 2017/18. The challenge will be to make the services look like a good career choice for a new generation entering the labour market in a rising economy. This will require ‘soft’ skills such as personnel management, awareness of diversity and inclusion factors which society increasingly expects as basic rights. The campaigns in Iraq and Afghanistan served to keep the forces in the public eye and in the absence of this, a new approach to recruitment will be needed. In the current job market people are more used to switching careers more frequently and having career breaks. The services must be able to offer similar conditions. Those who join at a young age may lose interest in their early twenties; they may find civilian life unattractive and may wish to return to the services. Above all the services must invest in Continuing Professional Development (CPD) as it is practised in the civilian world. Promotion criteria need to balance Knowledge Skills and Experience; this may require a specialist and a generalist career stream. At the time of writing the question of whether women should be eligible for all roles in the army, including Ground Close Combat is still under review. A previous review of this question in 2010 ultimately concluded that the ban should remain. The coalition government chose to re-visit this conclusion, as it did not wish it to appear that the army was not open to women. Comments by the Secretary of State and the Chief of the Defence Staff (CDS) towards the end of the last parliament were supportive of lifting this ban. Related to the recruiting challenge will be the parallel requirement to man the Reserve to a level that will enable Force 2020 to be credible. The proposed Reserve will consist of: 3,100 Royal Naval Reserve and Royal Marine Reserve; 30,000 Army Reserve and 1,800 Royal Auxiliary Air Force. Despite some unflattering media coverage this effort has made progress. Whilst those leaving the services may feel attracted to join the Reserves, an equally important element of the Reserves ‘offer’ is to the employer. Smaller enterprises may be unwilling to release an employee for 6 months. This may have adverse effects when job applications are considered. In 2014 David Cameron committed the UK to operate both Queen Elizabeth aircraft carriers. The Trident replacement, which is supported by both the two main parties, is due to receive ‘main gate’ approval in 2016. Orders for the F 35 B will be important for both the RN and RAF. An early solution will need to be found for the MPA replacement. The challenge will be to maintain the right balance of equipment and ensure their availability for contingency operations. Front Line Commanders now have responsibility for the totality of their respective budgets. Getting the balance between equipment and personnel right will represent one of the biggest challenges for the services. The UK enjoys a reputation as a world class participant in the global defence and security field. This reputation rests on the professionalism of our armed services, but it also rests in large part on the world class technology that the UK is able to field. This not only contributes to our security but also helps to promote defence exports. Defence exports for 2013 (the last full year available) were up by 13% on the previous year. The total value of contracts signed in 2013 was £9.8 bn for defence sales and £ 3.2 bn for security products. The UK has a 22% share of the global defence sales market, making it the second largest exporter after the US: the growing security products market secured a 4% share of the global security products market. The White Paper ‘National Security Through Technology’ published in February 2012 undertook to safeguard the Department’s expenditure on R and D at a level of 1.2% of the Department’s budget. The Department must protect funding for its Science and Tech (S & T) research. Figures produced by the Office for National Statistics show that this funding has been cut by £1 bn over 10 years up to 2013. The M O D must ensure that it can deliver Force 2020; this represents the minimum credible force which will enable the UK to play a significant role in any future coalition operations. During the election campaign the Conservative Party publically stated that there would be no reduction in the size of ‘the regular forces’. The outcomes of the 2010 SDSR are only now beginning to enter into effect. If this process is interfered with, it will result in a diminished force structure and will damage the UK’s credibility on the world stage. An adequate budget is necessary to ensure that recruitment and retention measures being worked on by the armed services can be delivered. In a recovering economy pressure on recruitment and retention will increase. Budgetary pressure may tempt the government to delay major procurement programmes; this would put the Equipment Programme out of balance. The Equipment Programme (EP) must be kept in balance. The reforms begun at Defence Equipment and Support (DE & S) which oversees the procurement of equipment and services must be followed through. A 3 year transformation programme will be complete by 2017, following the failure of attempts to establish DE & S as a Government Owned Contractor Operated entity (GoCo). The U K must urgently acquire a Maritime Patrol Aircraft (MPA) capability. The Royal Navy: The RN will need to manage its budget with the 2 Aircraft Carriers due to be in service. The Trident successor programme will also need to be managed so that the RN’s part of the EP does not get out of balance. The Royal Marines remain a potent high readiness force. The Army: The challenge facing the Army will be recruitment; as a manpower intensive service it will need to be able to maintain its ‘offer’ both to recruits and to serving personnel. The Royal Airforce: The RAF is the smallest of the 3 services. The RAF provides both the air defence of the UK, as well as its rapid reaction and strategic transport capability. The UK’s ability to mount a significant air campaign will be diminished if further cuts occur. The RAF Regiment, which comprises some 2,300 personnel and which provides close protection to airbases and deployed operational sites, remains a vital part of the RAFs force structure. RUSI – SDSR 2015; hard choices ahead. Malcolm Chalmers. March 2015. House of Commons Library: SN 06526 Trident replacement – 10th March 2015.